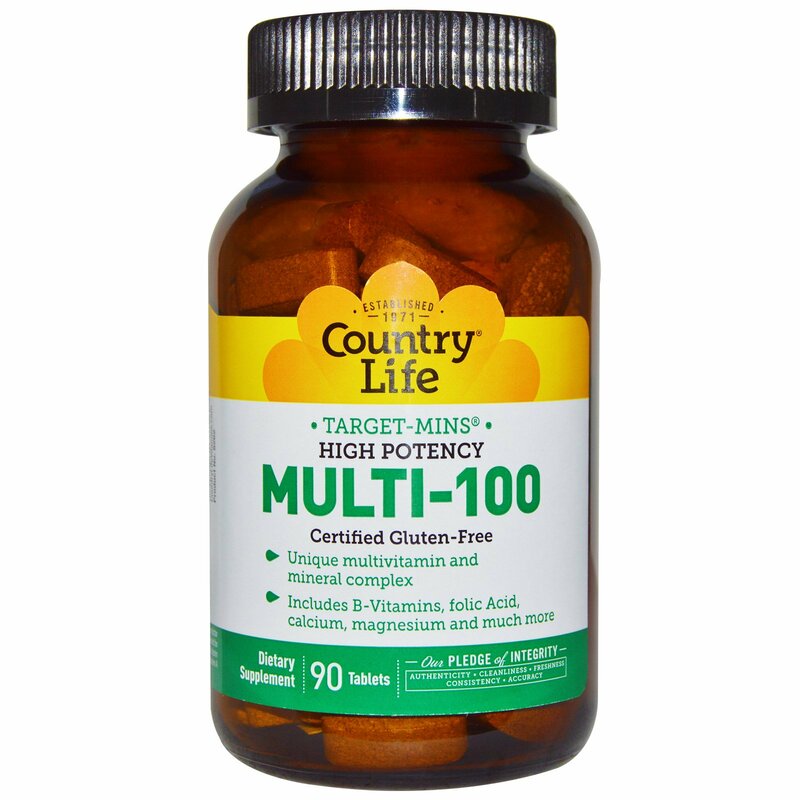 The unique feature of Multi-100 is that it contains either 100 mcg or 100 mg of many of your B Vitamins plus 400 mcg of folic acid. Combined with calcium, magnesium and other important minerals, the product also uses Country Life's exclusive Target Mins delivery system from mineral carriers. Cellulose, stearic acid, magnesium stearate, cellulose & glycerin coating, silica, vegetable glaze. 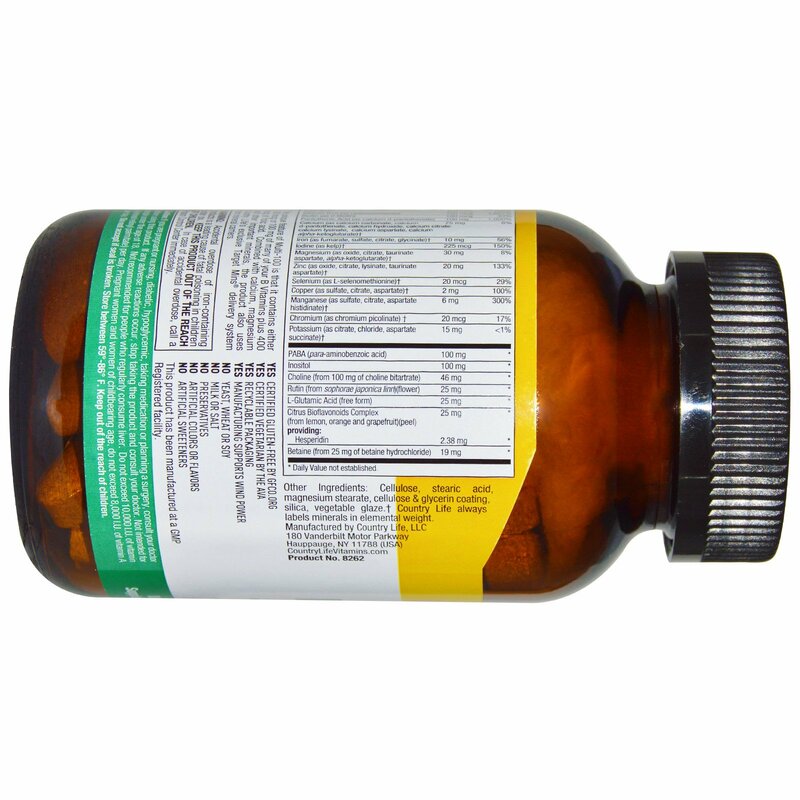 Caution: If you are pregnant or nursing, diabetic, hypoglycemic, taking medication or planning a surgery, consult your doctor before using this product. If any adverse reactions occur, stop taking the product and consult your doctor. Not intended for people under the age of 18. Not recommended for people who regularly consume liver. Do not exceed 10,000 IU of vitamin A (retinol/retinyl palmitate) per day. 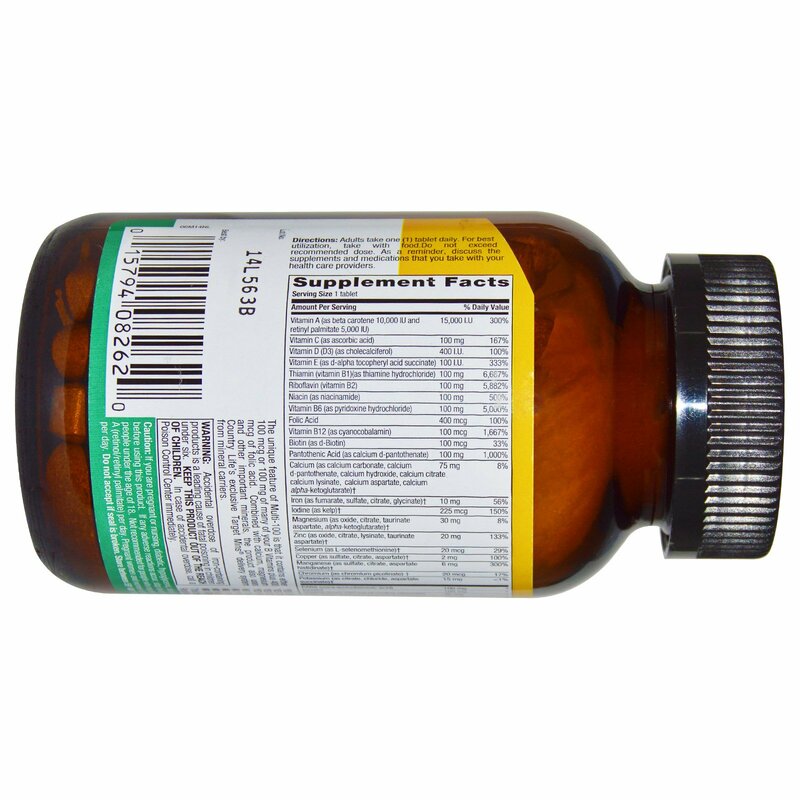 Pregnant women and women of childbearing age, do not exceed 8,000 IU of vitamin A per day. Do not accept if seal is broken. Store between 59º-86º F. Keep out of the reach of children.